Snowboarding is a descent down the mountains along the snow run on a special board, accompanied by jumps and flips. Alpine skiing is one of the types of ski sports. It is a descent down the mountains on special devices (skis) along the previously prepared runs. 1) Contact the administrator of the Skiing and Snowboarding School and confirm is an instructor is available. 2) Go to the ticket office to purchase a ski pass (lift ticket). Then go to the rental center and execute an equipment rental agreement (if necessary) and our experts will select the necessary equipment for skiing. In addition, you can use the services of lockers (locker rooms). 3) Go to the school of mountain skiing and snowboarding for arrangement of a lesson with an instructor. 4) Pay the lesson with the instructor – to the cash desk of the School of Alpine skiing and Snowboarding, (bankcards are accepted). Tariffs published on this page are valid and have an effect for the specified periods when purchasing the service on the current date. The Resort reserves the right to change tariffs, including during the season. When purchasing a service, be sure to read the Resort Rules being a public offer. * Individual classes are conducted for adults and children over 5 years. According to his tariff, it is possible to arrange classes for 1 person. Registration of services of the Skiing and Snowboarding School implies knowledge and acceptance of the following rules. 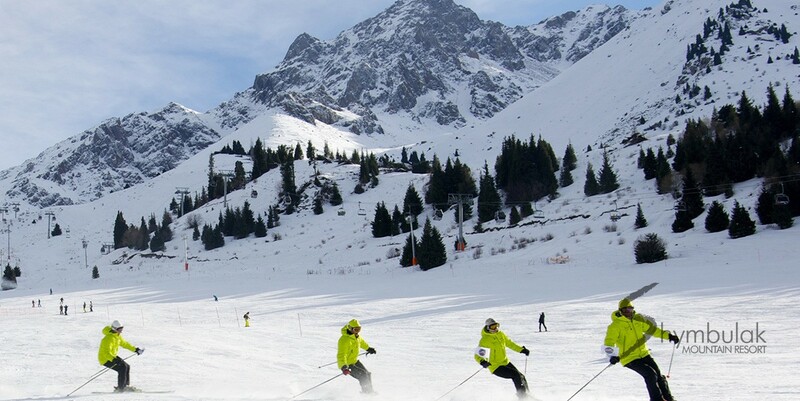 Shymbulak Skiing and Snowboarding School was founded in 1995 by enthusiastic alpine skiers, professional athletes and well-respected trainers in Alpine skiing in the Republic of Kazakhstan. From the date of foundation, our Skiing and Snowboarding School has taught more than one thousand people to ski and snowboard. Today the staff of the Shymbulak Skiing and Snowboarding School includes more than 70 instructors – experienced trainers, masters of sports, sportsmen professionals. All the instructors of the school have been trained by the leading instructors of PGI Management (Andorra), the global company providing services in the field of business processes management in mountain ski resorts. 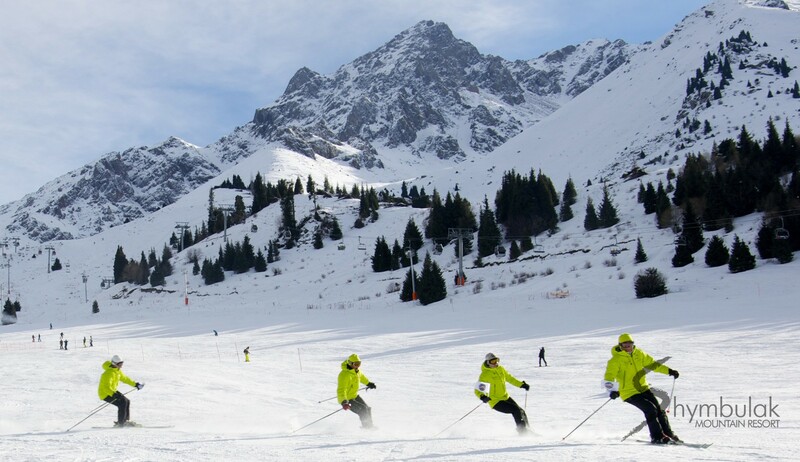 The Skiing and Snowboarding School is the largest in Kazakhstan, it in instructs more than 15,000 trainees annually and holds more than 10,000 classes in skiing and snowboarding. We constantly improve our skills, add new classes, modernize our equipment and always meet new trends. Shymbulak School attaches great importance to safety. We offer specially equipped safe runs for teaching children. The instructors of the school speak three languages: Russian, English and Kazakh.